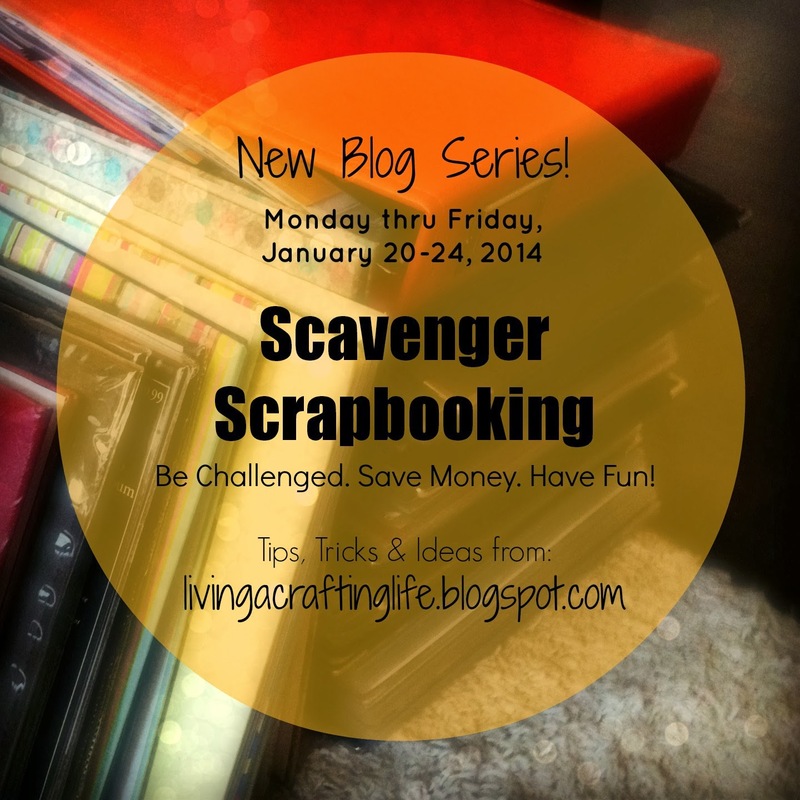 Living a Crafting Life: Inspiration Series: Scavenger Scrapbooking! Welcome to my a new blog series to kick off 2014! This month is one of my chosen "scrap fast" months. Because December is usually such a great time to find spectacular crafting deals, I too indulge in a little Merry-Christmas-to-Me shopping. Scheduling a "scrap fast" in January is not only helpful for the wallet, but it is a little easier when I already have some new things in my stash to use. If you are in the same type of situation, or want to use this month to hold back on the craft spending, this series will be a unique way to have some fun while spending no money. Ready for the challenge? Each day during this series, I will challenge you find items in specific rooms in your home that you will use toward a scrapbook page layout. Think of it as a new way to rejuvenate your scrapbooking mojo and get some layouts finished. Once you have finished any of this series challenges, you are welcome to link your project below using Mr. Linky for future readers to get inspiration! Scrapbook Process: RSVP by Basic Grey! Happy Scrappy New Year! See What's Coming!